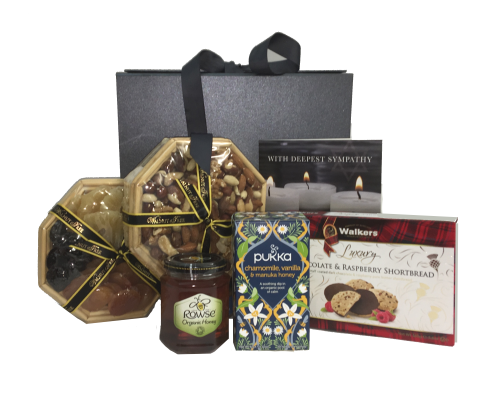 A Shivah hamper is a customary condolence gift containing a variety of food items that is sent to the home of those sitting shivah following the loss of a loved one. These food items are generally intended to provide nourishment for those in mourning throughout the week long duration of the shivah. During this time it is traditional that mourners remain in the house of the deceased so often extended family, friends, and the community will send consolation in the form of a fitting nature. 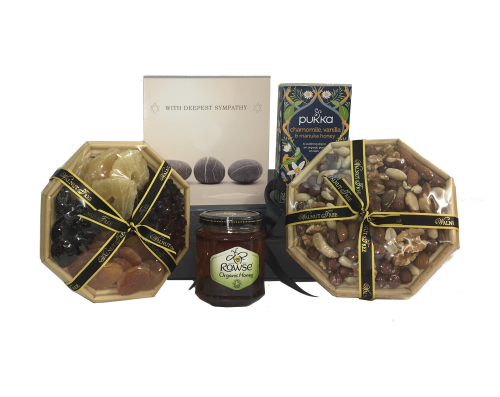 Our gift hampers shall contain items such as luxury dried fruit or mixed nuts from the Walnut Tree, Israeli wild flower honey or Silan and organic tea to give nourishment and comfort during a very difficult time. Each of our hampers and gift baskets are packed with care and delivered to your chosen address. 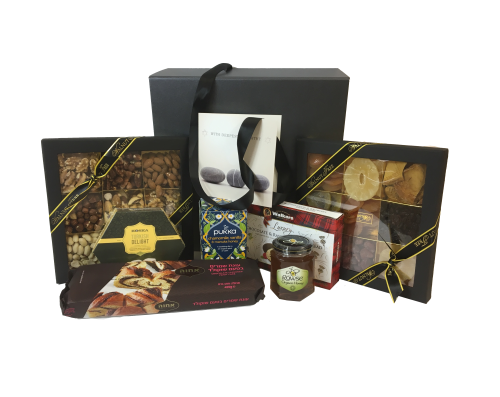 Free delivery for every hamper comes as standard (2-3 days), but flexible options are given should you require a specific day for delivery, including next day delivery. If you need some help choosing a hamper of gift basket for Shivah, we can help! Either call or email us and we will try to point you in the right direction.